EXP-06335 is a screen-printable silicone designed with less than .003ohms/cm resistance. Recognizing the needs of today’s evolving printed electronics marketplace, Protavic(R) designed and now manufactures this highly conductive, extremely flexible material to be printable via screen, flexo, or slot die. The heat cure, one part material is packaged in any size container and has a stable shelf life of 6 months at room temperature. See full press release. The PTO-07254 is a non silicone based thermal grease designed for very high heat applications up to 200°C continuously. The product also offers high thermal transfer of 2.75Wm°K. 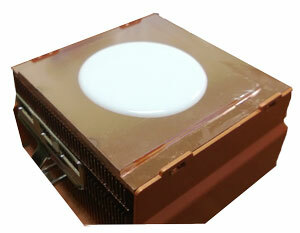 It is commonly used for heat sink applications that require a non cured product. The PTO-07254 can be encapsulated with urethane or epoxy based materials. The ANE-47921 is a high strength structural adhesive that can be used in critical applications such as electronics and automotive. This product offers a 30 min use time and fixture strength of 4 hours. It bonds excellent to metals, plastics and other substrates. It is available in 50, 200 and 400ml cartridges as well as bulk containers, If you like the 3M Scotch-Weld DP 460 or DP 460NS, you will like this product. It is available in standard white or natural color. This product offers a fast curing two component system which bonds well to a variety of substrates and is tough and durable. It can be used for wire staking, and various other fixture applications that require a firm yet flexible bond.